Hosts Jake and Patrick let the world in on the secrets of the blind community: the good, the bad, and the fugly. Hosts Jake and Patrick discussed braille, it's history, how it works (sorta,) and its uncertain future due to the emergence of screenreaders and audiobooks. Jake and Patrick discuss some of the ignorant and flagrantly disrespectful things they've heard and experienced. 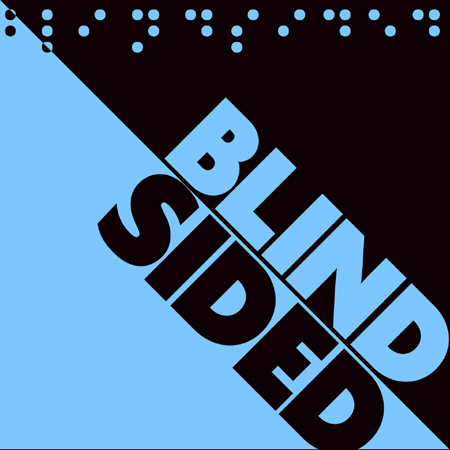 Guests Gerilyn and Ciaran talk about their first impressions on encountering blindness and commiserate with the hosts on the rudeness of a few bad apples. Episode 001 of the BlindSided podcast, Jake and Patrick introduce themselves, their lives, and this project.